Every blogger should have a media kit especially if you are working with or providing sponsored content to brands. Having a professional, well-designed media kit to show brands can set you apart from other bloggers. We will create a well-designed, professional media kit that includes all of your blog information so you are ready to build lasting relationships with your favorite brands. 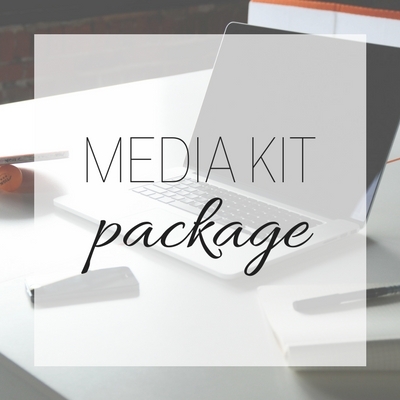 Price includes a one sheet media kit designed to closely match your branded website.